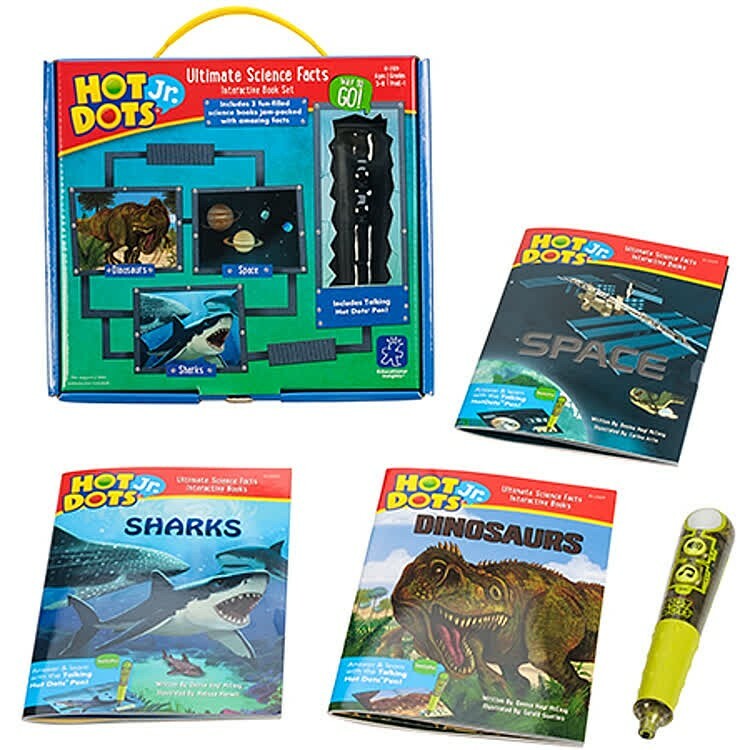 With this Hot Dots Jr. 3 science books set kids will learn early reading skills and science facts about sharks, dinosaurs and space interactive way: answering the questions with the cool talking pen. 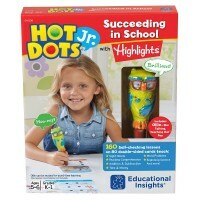 Hot Dots Jr. interactive learning sets from Educational Insights bring learning and play together! 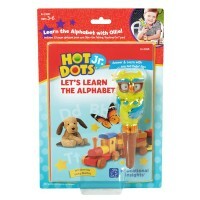 This new beginner science set is perfect for self-paced preschool learners. 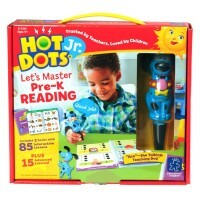 Hot Dots Jr. 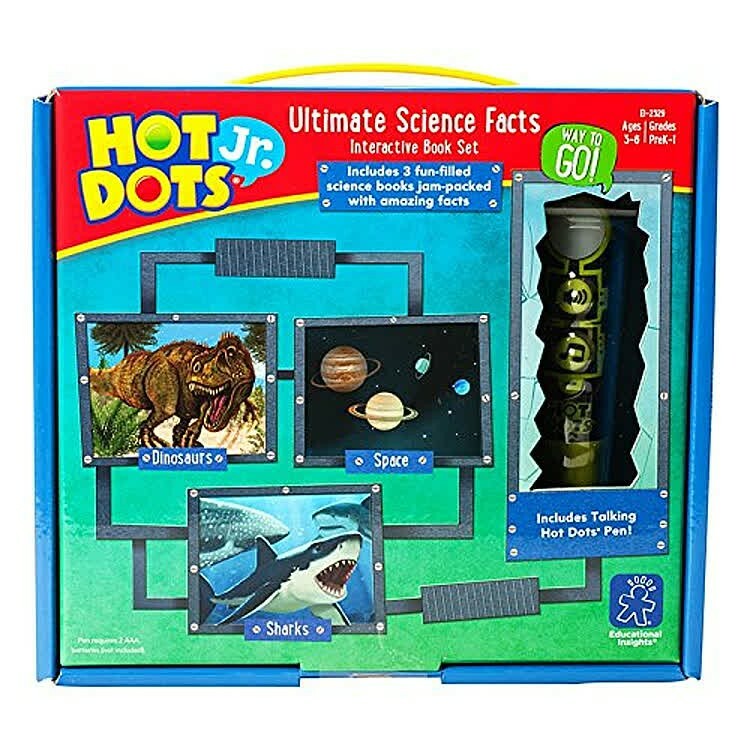 Ultimate Science Facts Interactive Set with Electronic Pen features 3 science activity books and kids favorite interactive learning tool - Hot Dots talking pen. 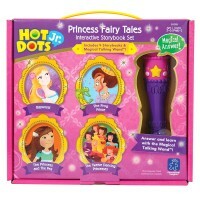 The cool looking electronic pen from this Educational Toys Planet's kit offers 17 speech and sound effects. This Hot Dots learning kit features the following science theme books: Sharks, Dinosaurs, and Space. 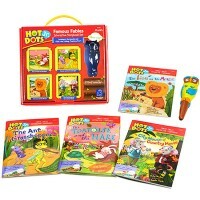 Each science activity book is colorfully illustrated, and offers 11 play & learn activities. 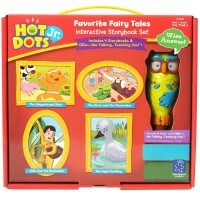 Read a book, answer the activity questions, press the talking owl pen to the answer dot and hear the playful audio response! 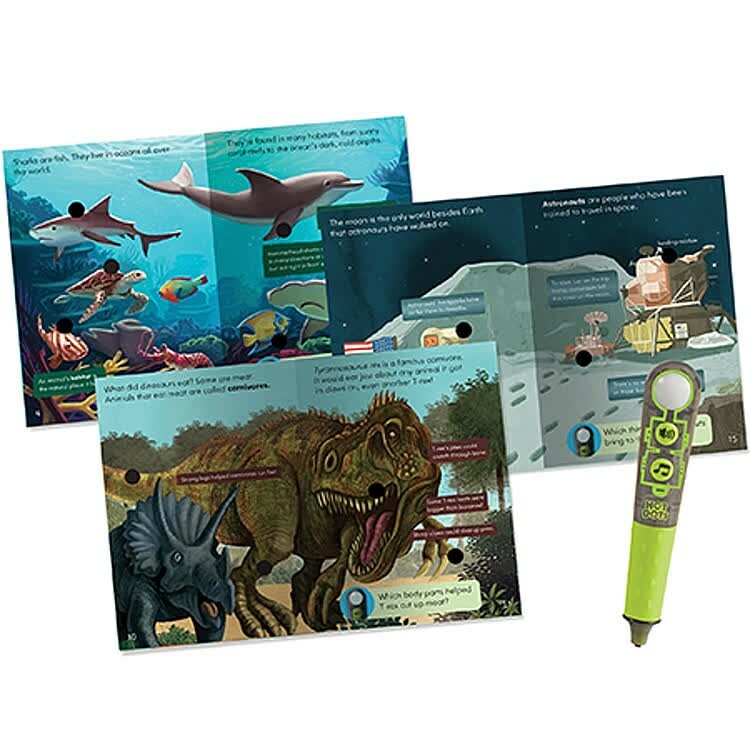 Chunky talking pen will turn story time into learning time for your child, and help children understand the scientific facts. 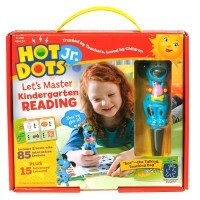 Hot Dots Jr. 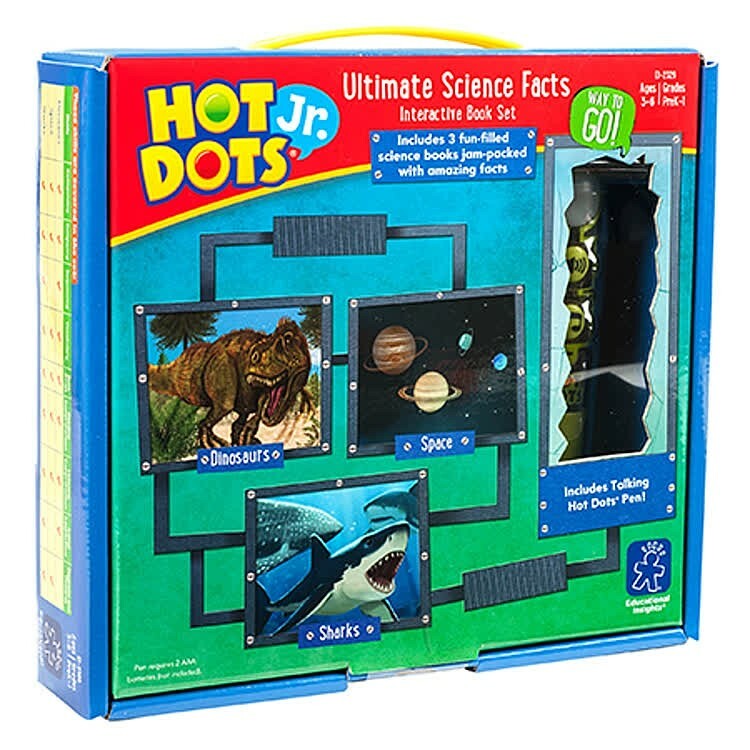 Ultimate Science Facts Interactive Set with Electronic Pen is a wonderful electronic toy that helps kids in their early reading and comprehension skills, introduces science facts to them. The teaching pen requires 2 AAA batteries (not included). 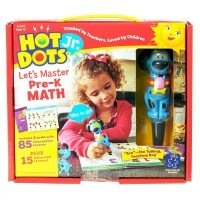 Dimensions of package 8.4" x 9.2" x 2.2"
Write your own review of Hot Dots Jr. 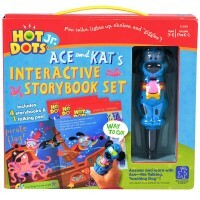 Ultimate Science Facts Interactive Set with Electronic Pen.